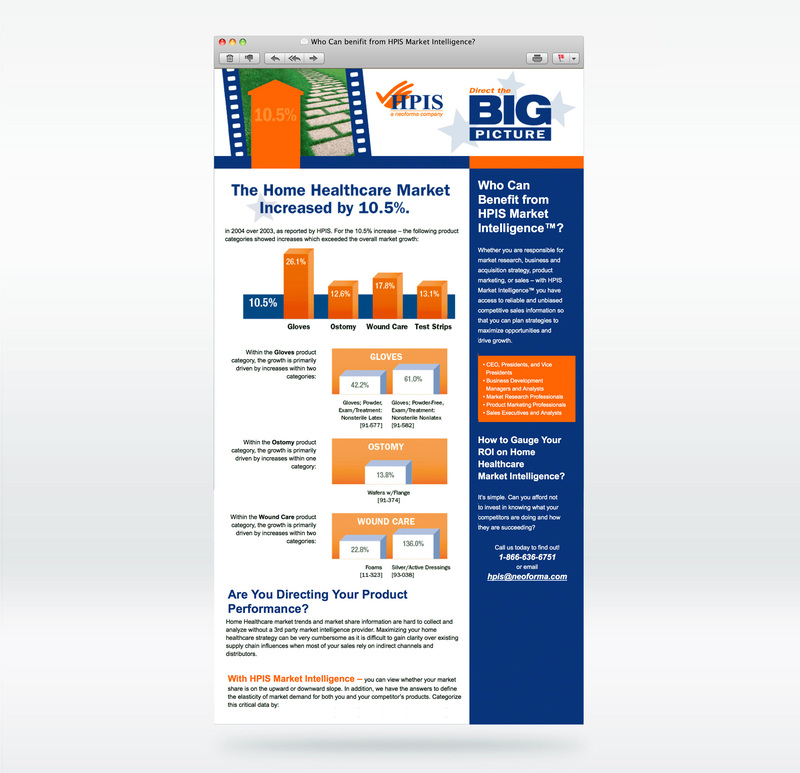 HPIS, a leading provider of critical market intelligence for the highly competitive healthcare industry, wanted to reach out to healthcare providers at all levels and promote the benefits of understanding the “Big Picture” of their patient and operational data. 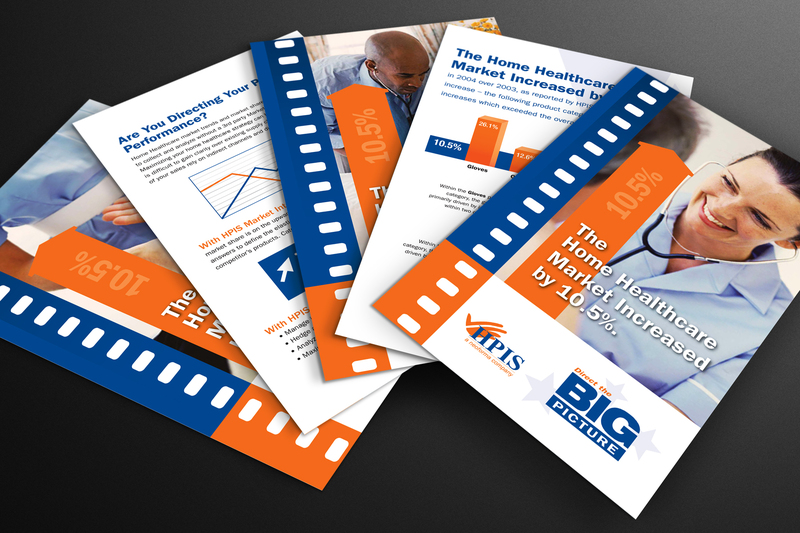 This series of direct mail pieces highlighted the benefits of their intelligence services and was customized to doctors, home health care providers and pharmacies with distinct imagery and information specific to their challenges and concerns. In an effort to make sure their message was heard, an HTML email follow up to the direct mail campaign that highlighted the benefits of their market intelligence services was developed and sent to all recipients of the direct mail piece. The email reinforced the market data, spoke to the actual return on investment of their program and prompted the recipient to learn more though customized landing pages linked from the email.